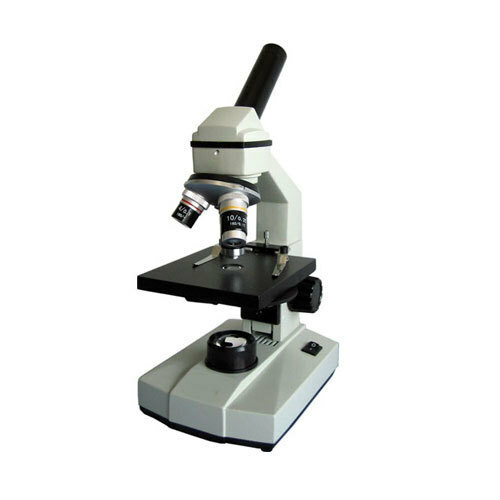 We are offering a wide range of Bio Microscope to our valuable clients. Hally Instruments, the reputed Manufacturer, Supplier and Exporter entity was founded in the year 2006 to integrate the ethics and compliance into its vast product range of Scientific Instruments. Under the expert guidance and a strong ethos of quality, we have broadened our product portfolio and now rendering an extensive line of hi-end instruments such as, Micro Lab Instruments, Stirrer & Shakers, and Heating Instruments. We have access to an array of trusted sources to procure the highest quality raw material and laboratory tested components, which make our product the most favorable instruments in the global industry. Our offered instruments are well favored for its sturdy construction, accurate reading, user friendly operation, durable performance, corrosion resistant, and easy maintenance. We strive to manage the ethical dilemmas and endow our diligent team members with a distinguished platform of advanced techniques and tools. To achieve the expected productivity, we have developed the entire set up in accordance to the modern concepts of infrastructure, where we have implemented leading technology machinery and screening equipment. Owing to our increased yield, we are capable to serve the complex and evolving challenges of prestigious clients from across the world. We take pride in serving the needs of pharmaceutical, food processing, chemical and other industrial laboratories with a cost effective range of most modern instruments.